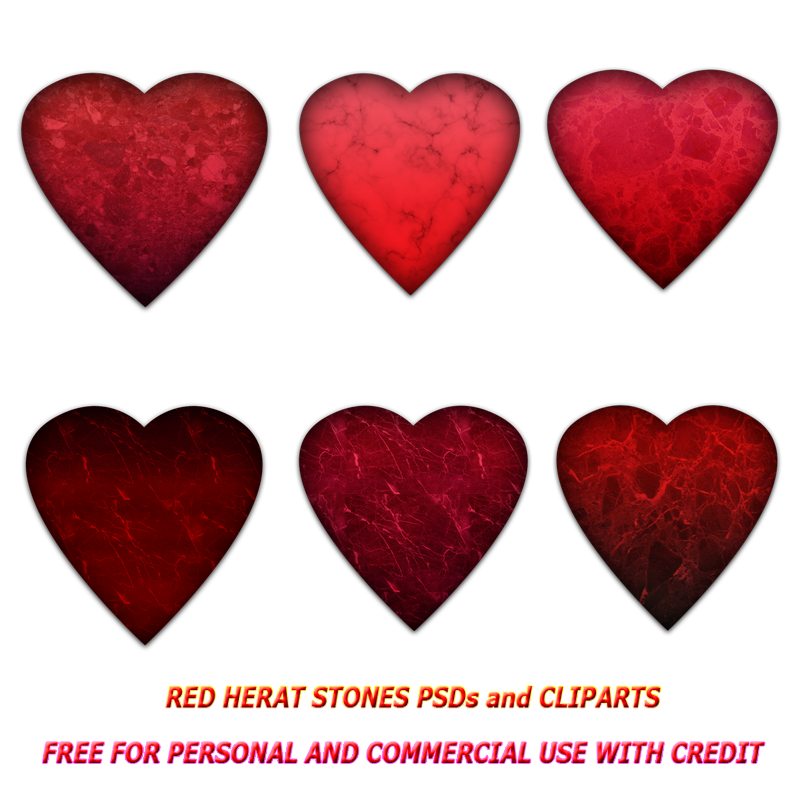 Today i have a Photoshop PSDs set containing 6 heart shapes with stone textures..they can be used for various projects of art depending on your imagination. Created from scratch by me so free for personal and commercial use with credit.. The stone textures are Photoshop pat. files made by me..these are included in zip file..you need to place them in Photoshop presets/patterns folder to get the stone effect..Two types of file are included in zip..6 png. transparent High-Res images to use as cliparts and 6 layered PSDs if you want to recolor or modify them..Created with Adobe Photoshop CS2..